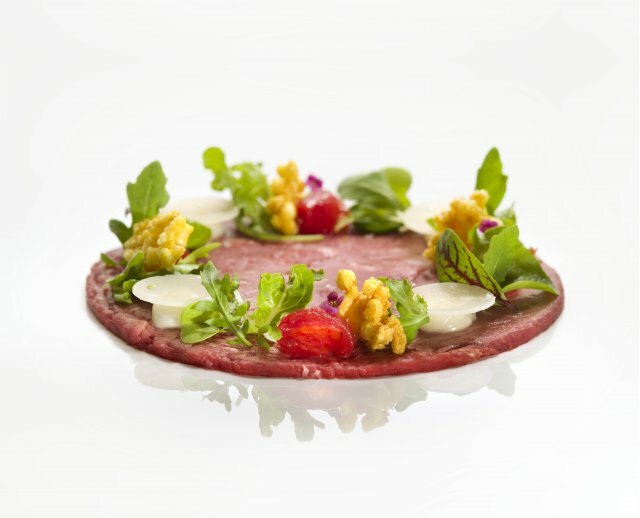 Hôtel des Arts Saigon, MGallery Collection will welcome Italian guest chef Nicola Russo, Chef De Cuisine at Tosca, the renowned Michelin-starred Italian restaurant in Hong Kong, to the Social Club Restaurant on the 23rd floor from April 24 to 26. Originally from Pisa, Tuscany, Chef Nicola’s culinary career began early on. After graduating from the culinary institute IPSCAT G. Matteotti at age 18, Nicola sought opportunities to further develop his own creativity and, during his apprenticeship, worked for a number of Michelin-starred restaurants and luxury hotels in Europe, the Middle East, Australia and Asia. He has brought the best of Italian cuisine to an array of discerning international customers. During the gastronomic event in April, Chef Nicola will join Executive Chef Egidio Latorraca to bring to epicureans in Ho Chi Minh City a luxurious culinary adventure dedicated to craftsmanship and the pursuit of innovation. The degustation menu includes signature dishes like sea cappuccino, risotto, Agnolotti, Mediterranean seabass, and ricotta. Diners will have the opportunity to experience an exciting culinary journey that includes a two-hour cooking class at 10am on April 24, a “Chef Table” dinner featuring seven courses with wine pairing at 7pm on April 24, and a “Degustation Menu” dinner featuring six courses with wine pairing at 7pm on April 25 and 26.